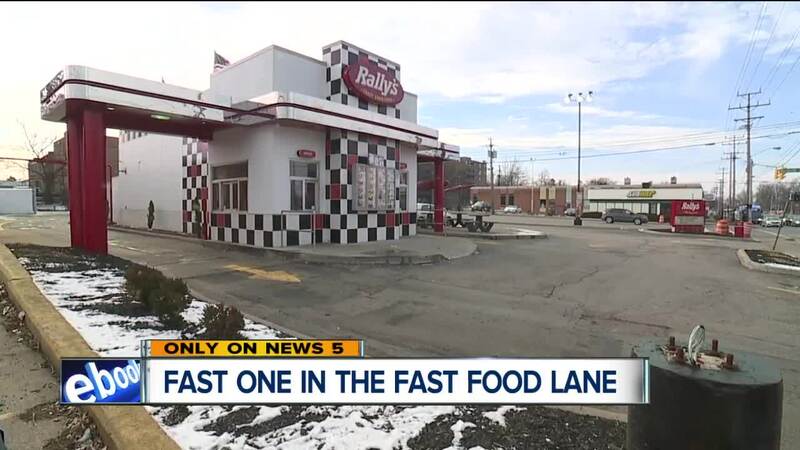 SOUTH EUCLID, Ohio — It's quick, hot and "crazy good," but in South Euclid, a 77-year-old regular customer got more than the cheeseburger she ordered when she drove through Rally's hungry, according to police. Distracted checking out, police say the woman didn't notice the employee handed her food and a receipt, but not the card she paid with. South Euclid Police told News 5 the worker who checked her out, then pocketed her card and used it around town. They've identified that worker as 18-year-old Taniya Monique Weaver. Weaver charged $466.95 to the stolen card, according to the police report. When police first confronted Weaver, with a body camera rolling, she admitted to taking the card, but denied using it. "Did you take the card," police asked Weaver. "I had it in my pocket, and when we closed I went home, but I didn't spend it...I threw it out. Someone must have take it out of the trash," Weaver told police. According to police, Weaver no longer works at Rally's, who issued no comment on the incident. "Employees at Rally's were not cooperative with us," South Euclid Public Information Officer Joe Dilillo Jr. told News 5. According to Dilillo, Weaver is facing charges with felony warrants out for her arrest right now. She is being charged with larceny for stealing the credit card and then using it. "We've tried to contact her, we've left her messages to turn herself in and she has not been cooperative with police," he said. Unfortunately, police say this kind of crime isn't uncommon, even offline. "Misuse of credit card, fraudulent charges on a card card ,both common," he said. Dilillo said customers should be vigilant and aware. They need to limit distractions when making purchases.